Lagos can be an interesting place to live. Lagos is a home to 15million people and its been estimate that at least 3 million cars and buses pile the road regularly. Among these sets of cars and buses will you see the exotic, the classy, those that oppress with their cars (shout-out to all those celebrities who buy 20 million cars) and also you find the public buses where an average man falls into. These buses can be didved into 2 different part, the government owned (LAGBUS, BRT) and the Union/Individual owned (Molue, Danfo, NURTW). Boarding commercial buses can be fun at times especially when you are having a bored moment at work. My friend once said anytime he is not feeling too well, he boards Molue bus and he will be praying there should be a topic of discussion or that two passengers just pick on their selves, it may be fun and it maybe otherwise. 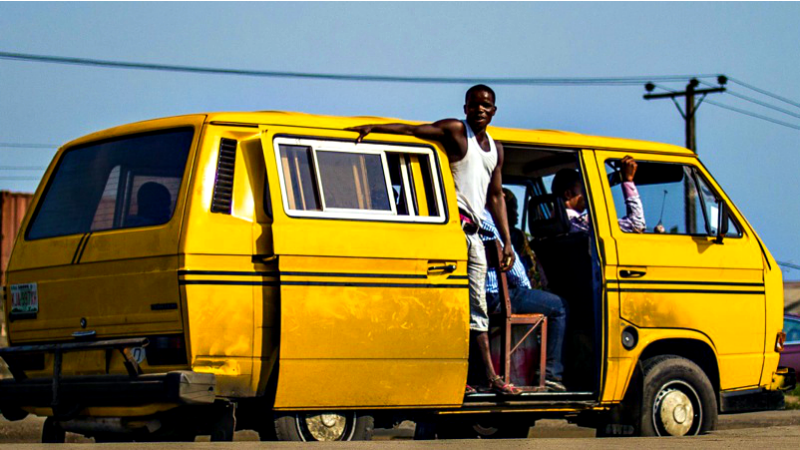 We bring to you types of people you will meet when you board a public transport using Lagos as a case study..
1. The Sleepers: These set of people sleep practically all the journey. Some even go to the extent of snoring. My uncle fall into this category, bros can sleep anywhere even when we went to board ferry, bros still sleep.. Tuwale baba!!! 2. The Talkatives: These are the political pundits and football analysts. They can quote how much was recovered from Osborne towers, Messi’s salary in a year, how Buhari refused to had over power to Osibanjo etc. The talkatives raise discussions on different issues. They can talk for hours uninterrupted. 3. The Music Freaks: These ones plug in their ear- piece as soon as the journey begins. They listen to music non-stop until they alight from the vehicle. 6. The Fat People (mostly ladies): When Jesus said in the scriptures “Occupy till I come”, these are the people Jesus is talking to. They occupy virtually all the space on the seat. They are so annoying. They can even squeeze life out of you. You can only curse them silently! 7. The Thieves: These set of people are what the Bible talked about in John 10:10. The thieves steal from unsuspecting passengers. They steal money and phones. These set of people are the most dangerous in the bus. 8. The Preachers/ Prayer warriors: God bless your soul you board a bus with the Lord’s Chosen folks or people from CAC, you are done for it. They lead prayers immediately the journey begins. They also preach and share tracts. 9. The Gentle: These sets of people sit all by themself throughout the journey. They either talk or join in the discussion in the bus, let the driver speed from Lagos to Togo, OYO is your name. 10. Quarrelsome: These sets can best be called the jesters, they pick on people to make jokes, God bless you you replicate, they turn in to a shouting match. I experienced this lately, a guy picked on virtually people in the bus including the driver, a lady just picked on him about the quality of his, na so kasala burst oo, it took the intervention of the passengers for this guy not to slap the lady, its that bad. very funny indeed. thats reaally true. Good brain work.Develope it and make a book for schools.